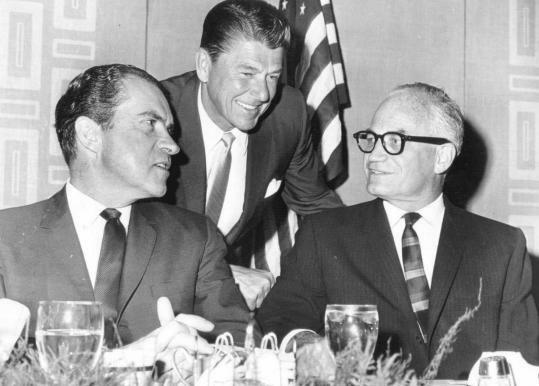 Ronald Reagan saw in former presidential candidate Barry Goldwater a friend and a mentor. They corresponded frequently. But Reagan’s 1976 challenge for the Republican presidential nomination caused a deep rift. 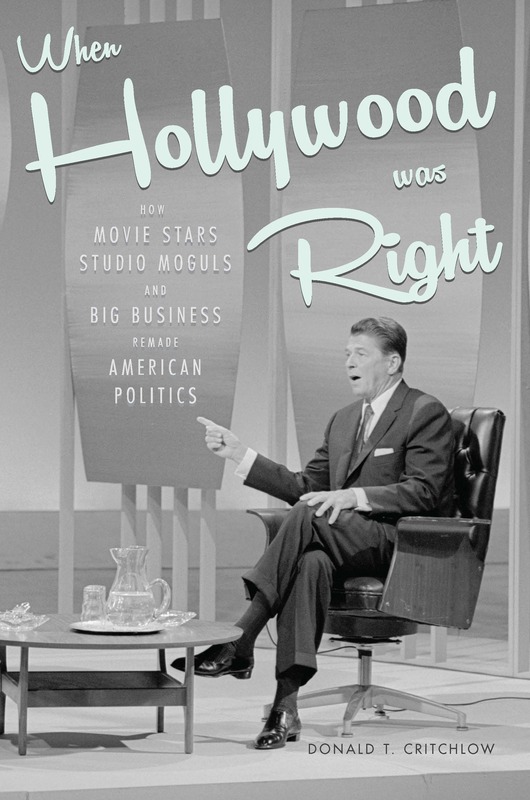 Reagan’s election to the presidency in 1980 marked the Hollywood Right’s greatest triumph. The drama of rebuilding the California Republican Party cast many players: studio heads such as Louis B. Mayer, Darryl Zanuck, Cecil B. DeMille, the Warner brothers, and Walt Disney; Southern California businessmen such as Justin Dart, Leonard Firestone (heir to Firestone Tires), Walter Knott (founder of Knott’s Berry Farm), oil man Henry Salvatori, and Patrick Frawley (owner of Schick razor and Technicolor). Actors such as Gary Cooper and Bob Hope also played leading roles in this campaign to resurrect the Republican Party. Beginning in the 1970s, Charlton Heston, a former Democrat, assumed the conservative banner by becoming a Reagan Republican who supported strong national defense and gun rights. Western stars had particular appeal because of their movie and television roles. Randolph Scott, star of over a hundred films, remained a conservative who gave money and time to the party when he could. He was joined by other western television stars, Ward Bond (Wagon Train), Walter Brennan (The Real McCoys), Richard Boone (Have Gun Will Travel), and Chuck Connors (The Rifleman). The ascendancy of the Republican Party led by Reagan was by no means a straight advancement. Factionalism characterized the Republican Party in these years, reflected within the Hollywood Right. Divisions revolved around personalities and politicians. Ideology divided some. Schisms and profound differences appeared at every step of the Republican advance – and retreat. There were hard-line anticommunists who supported the blacklist, while others believed the communist issue had been taken care of even before HUAC swept into town to investigate alleged communist influence in the film industry. The Hollywood Right and its allies in the Southern California business community divided over nearly every Republican presidential nominee beginning with Eisenhower in 1952. The question was how and which candidates would best serve the interests of the party. This was not always clear who the best candidate was though and differences could split long-time political allies. The Arizonan’s endorsement of Ford provoked a complete break between the two erstwhile friends. Reagan did not correspond with Goldwater again for fifteen months. When he finally did so, Goldwater responded, “It was a pleasure hearing from you and I hope someday the hatchet, if there is a hatchet, can be buried.” They made amends. Goldwater endorsed Reagan in 1980 and continued to support him during Reagan’s two terms in office. For his part, Reagan never invited his former mentor to the White House.